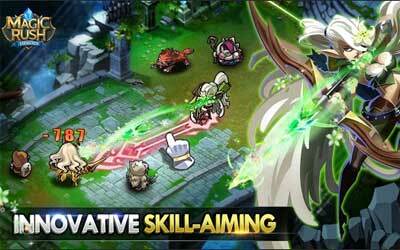 Previous version Magic Rush: Heroes 1.1.147 apk for Android will help you to downgrade or install older app easily. This is one of the best Role Playing apps. We increased the casting range of all of Rek’s skills and put him further towards the back to enable him to protect the back row better. Desert Scorpion: Casting Hell Gate or Evil Offering will summon a giant scorpion which will attack a nearby enemy. When the scorpion dies, it will deal damage to surrounding enemies and blind them.